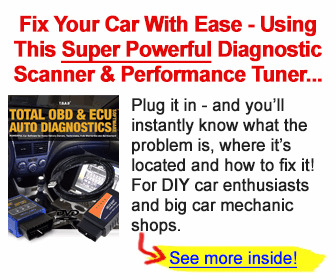 Although not required by the OBD regulation, the use of serial data accessible by special scan tools, has been introduced by some manufacturers. Serial data is electronic information about sensors, actuators, and ECM fuel/spark strategy, which is accessed from a single wire coming from the ECM. The term serial data implies that the information is digitally coded and transmitted in a series of data words. The data words are decoded and displayed by a scan tool. 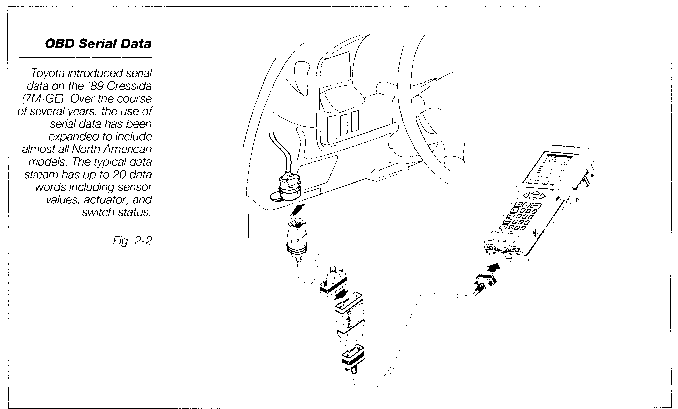 The typical Toyota OBD serial data stream consists of up to 20 data words including sensor values, switch status, actuator status, and other engine operating data.